Fern joined AMS in 2018 after twenty years in association government relations, regulatory compliance, standards development, conference and workshop development, and program implementation with experience in environmental compliance, health and safety, sustainability, corporate social responsibility, conflict minerals, export controls, supply chain and international issues. Fern has deep knowledge of environmental regulatory and compliance issues, having spent several years in environmental consulting. 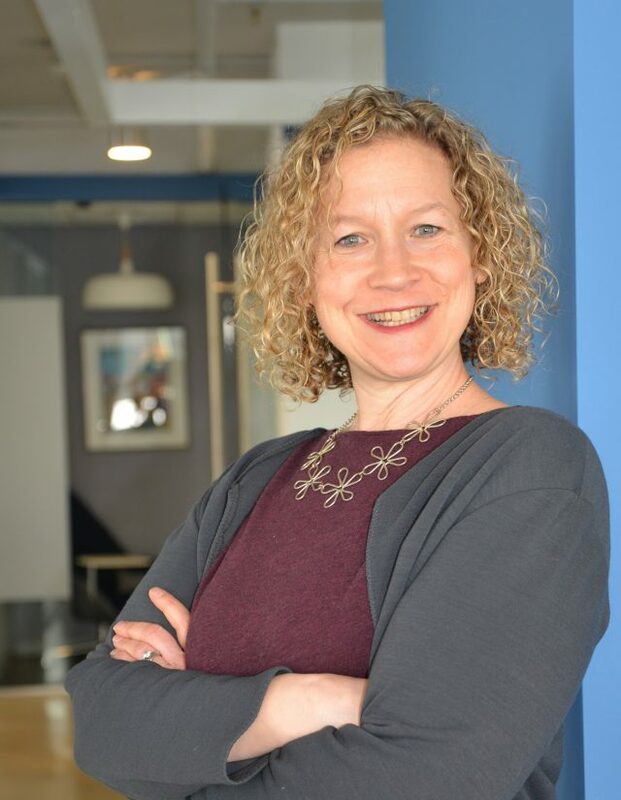 During her seventeen years at IPC – the Association Connecting Electronics Industry, Fern served the electronics manufacturing industry variously as the Director of Regulatory Affairs, Director of Government Affairs, and Director of Environmental Policy. Fern led IPC in opening an office in DC and managed the office, including staff and budget, for five years. In her roles she worked closely with a number of member committees made up of board members and technical experts. Most recently at IPC she lobbied successfully for Congressional language addressing reporting of recycled byproducts in the Lautenberg Safer Chemicals Act of 2016 which modified the Toxic Substances Control Act. Other Advocacy accomplishments included leadership and coordination multi-faceted campaign including lobbying and an educational program that resulted in export control reform through modification of the United States Munitions List (USML) to specifically identify printed circuit boards – at a time when most organizations to have export controls lessened. In the environmental arena, Fern coordinated a campaign, including the development of extensive technical comments, that persuaded EPA to abandon proposed wastewater treatment regulations saving facilities $1M per year. Fern not only lobbied to change or improve regulations and legislation, she helped members understand and comply with key regulations by developing profitable and well reviewed workshops and conferences to members learn about and stay up to date on compliance requirements. She also led member committees in the development of consensus standards and other programs for supply chain compliance with Securities and Exchange Commission (SEC) Conflict Minerals requirements and European Union (EU) Product Environmental Regulations including Restriction on Hazardous Substance (RoHS) and Registration, Evaluation and Authorization of Chemicals (REACH). Fern’s leadership and speaking skills were recognized within the industry including being named to Assent Top 100 Conflict Minerals Influencers List 2016 and 2017 and the EBN 2008 Innovators List; through invitation to serve on two EPA Federal Advisory Committees and through frequent invitations to speak including the Department of Commerce in 2016 and 2017; OECD-UN Forum on Responsible Mineral Supply Chains in Paris 2016; and the Electronics Goes Green Conference in Berlin in 2012 and 2016. Prior to her work at IPC, Fern served as the Manager of Environmental Affairs at the American Trucking Associations where she analyzed state and federal legislation and regulation in the areas of air emissions, alternative fuels, solid and hazardous waste, underground storage tanks, and Superfund. Supported state trucking associations with state level advocacy programs. Advocated member positions. Prior to her association work, Fern has additional experience in environmental consulting including Superfund site investigations, audits, and air permitting. Clients included lending institutions, U.S. Army and Navy, private industry. Fern has a strong technical background which includes five prior years environmental consulting. She hold a Masters Degree in Environmental Engineering from Virginia Tech and an BSE in Chemical Engineering from the University of Pennsylvania.